Over the last couple of days, there has been a lot of talk about what Dr. Edgar Mitchell apparently told an audience in Great Britain. In some versions, these stories seemed to suggest that Mitchell had some sort of communication with alien creatures while on the moon, and said that there was, indeed, a cover-up. On Friday, July 25, Mitchell had the opportunity to clear up some of these misconceptions when he appeared on BlogTalkRadio’s ShapeShifting, hosted by Lisa Bonnice. He did say there was a cover up at Roswell, but also suggested that NASA knew nothing about it, or rather he had no information to suggest that NASA knew about it. I was talking about the Roswell incident, the Roswell visitation primarily, but there have been many others that have been reported that I have no personal awareness of but that was the one that I was really talking about... and my information comes from what I call "the old timers," because I grew up in the Roswell area and when I went to the moon, some of the old timers from that period, some locals, and others military and intelligence people, who were under rather severe oaths to not reveal any of this and kind of wanted to get their conscience clear and off their chests before they passed on, selected me and said, independently - this wasn't a group effort - independently that maybe I might be a safe person to tell their story to. And all of them confirmed, and what I'm saying is they confirmed the Roswell incident was a real incident and they in some way had some part in it that they wanted to talk about. Well, that the crash of an alien spacecraft in the Roswell area was a real event and much of the lore, I can't say all of the lore, but much of the fact that dead bodies were recovered and live ones were recovered, that they were not of this world, was the story. And of course it was reported in the Roswell Daily Record one day and promptly denied the next day and a cover story of a weather balloon, and that was pure nonsense. That was a cover-up. Subsequent to that, I did take my story to the Pentagon - not NASA, but the Pentagon - and asked for a meeting with the Intelligence Committee of the Joint Chiefs of Staff and got it. And told them my story and what I know and eventually had that confirmed by the admiral that I spoke with, that indeed what I was saying was true. ...There was a UFO crash. There was an alien spacecraft. This gentleman [the admiral] tried his damndest to get me in and like so many others in the administration over the last 60 years, since JFK's time, was unable to. He was told 'Admiral, you don't have a need to know, and therefore go get lost,' essentially. Let’s take a look at this carefully. Mitchell isn’t saying that he saw any of this, that he was working with inside information, but was talking to the people who were involved, in Roswell. Clearly these were people he trusted and that they felt they could tell him about it because of who he was. But this adds little to what we already know about Roswell. He provides no names, though I suspect we could identify some of them if we wanted.He then goes off on what I believe to be a tangent, but it also supplies us with a clue about the source of some of the information. Here the Air Force is charged with presumably protecting the skies and the advanced technologies of our nation and the intelligence services didn't really know what to do with an alien spacecraft and didn't know whether they were hostile or otherwise, and didn't want the Soviets to get involved with that, or know about it, so the easiest thing to do was lie about it, cover it up and have it classified and deny that it happened. And that's what has happened and unfortunately, or maybe fortunately, I don't know, that President Truman then elected a committee of very high level military and civilian academicians and people and formed the Military and Joint Intelligence Committee. This is the same sort of thing that Brigadier General Arthur Exon had told me a number of years ago. Exon said that he didn’t know the name of the committee, only that he knew some of the people invo lved and that he had information about some of the others. Exon provided names, such as Stuart Symington (seen here), who in July 1947, was the Under Secretary of War for Air, General Carl Spaatz, who was the commander of Army Air Forces, and he even suggests that Dwight Eisenhower, who was the Chief of Staff of the Army in 1947, was part of the committee. Exon told me, "I just know there was a top intelligence echelon represented and the President’s office was represented and the Secretary of Defense [here meaning the Secretary of War] was represented and these people stayed on in key positions even through they might have moved out [meaning changed jobs such as Eisenhower becoming president and Symington eventually becoming a senator]." Abbreviated MAJIC or "Majic 12," that's what it was called, and gave them power to manage this so-called alien presence or crash or whatever they were going to do. And they passed a very secretive bill that gave authority, perhaps too much authority, and over the last 60 years since that incident, things have been continuously covered up, lied about, hidden, and people have not been able to get in to that - including Barry Goldwater when he was a presidential candidate - tried to crack into it and get the information out and was denied. President Ford later tried to get some information out and was denied. This is where we enter into speculation by Mitchell. Both Mitchell and Exon suggested that a committee was created to investigate and to exploit the finds at Roswell. Exon called it the "Unholy Thirteen" simply because he had no other name for it, and that was the name he used when discussing it. Bill Moore, Richard Doty, and others received documents suggesting it was known as the Majestic-Twelve, or MJ-12, code named MAJIC. At this point it doesn’t really matter who is right about the name of the committee, or even the exact nature of it. What is important is that we have two very highly placed people who were t alking about an oversight committee that was investigating Roswell and setting policy about UFOs. We have the names of some of those people who appear on both lists. Exon, for example, said that Roscoe Hillenkoetter (seen here) was on, as was James Forrestal who became the first Secretary of Defense in 1947. Now we have further corroboration of this committee and while we, inside the UFO community argue about who is right about it, the real story goes relatively unreported. First, we had an Air Force brigadier general, who was in the right place at the right time to know, tell us about this committee. Now we have a former astronaut tell us about this committee and if he wants to call it the Majic 12, then so be it. But the important point is that we have another man who should be in a place to know. We should be looking for the committee rather than arguing among ourselves about who is right about this and who is wrong. Maybe the MJ-12 documents are fraudulent, or maybe not, but that really isn’t the point. The point is that there was, and is, a committee controlling this information and we should be searching for that. When we look back into the history of UFOs, we see a couple of things. First, prior to July 8, 1947, the government and especially the military, didn’t care about all the stories of flying saucers. The newspapers are full of speculation, reports, eyewitness accounts, and columns attempting to explain what is going on. Then, on July 9, the day after the story breaks in Roswell, we see newspaper articles saying that the Army and Navy moved today to suppress stories of the flying saucers whizzing through the atmosphere. This was a wire story and I have found it, and variations of it, in many newspapers. Why, suddenly, on July 9 does the Army and Navy care about these stories? I will note that many newspapers stopped reporting them. Edward Ruppelt (seen here), who was, at one time the chief of Project Blue Book wrote in his book, The Report on U nidentified Flying Objects, wrote, "The only other people outside Project Blue Book who have studied the complete case of the Lubbock Lights were a group who, due to their associations with the government, had complete access to our files. And these people were not pulp writers or wide-eyes fanatics, they were scientists - rocket experts, nuclear physicists, and intelligence experts..."
So, rather than trying to prove the name MJ-12 is correct, we should be combining forces to find out all we can about the oversight committee. Searches in the past have been limited to the men whose names appear on the MJ-12 document. Maybe we should expand it to include those mentioned by Exon. Maybe we’ll find something there. For now, we have Edgar Mitchell clearly on the record talking about the Roswell UFO crash based on his conversations with the people of Roswell he personally knew, talking about the oversight committee which he labeled MJ-12, and talking about the continuing government cover up about UFOs. We have an Air Force general telling us some of the same things. Isn’t it about time we began to take some of this a little more seriously and work together to unravel this rather than worry about who is right and who is wrong? The answer is still eight major planets, but now there is a fourth dwarf planet. This is another plutoid, out beyond Neptune and was named Makemake by the International Astronomical Union a few days ago. As mentioned last time we talked about this, there were two that were about to be named, officially, Easterbunny, aka 2005 FY9 and Santa. Makemake is the one formally known as Easterbunny. Remember, Ceres, which originally classified as a planet, lost its status as more asteroids were discovered. Pluto lost its status as other objects, some larger than Pluto were discovered out in the area known as the Kuiper Belt. Ceres was elevated to dwarf planet and is still the only one not also classified as a Plutoid. Makemake is about two thirds the size of Pluto and is a red methane-covered dwarf. It is thought to be slightly smaller than Pluto and isn’t quite as bright. In case you think they deviated from the tradition of naming these objects after mythological gods, Makemake is the chief god among the people of Easter Island, which Mike Brown, who discovered the dwarf planet thought appropriate. Jason Kellahin (seen below) was an AP reporter in the summer of 1947 based in Albuquerque, New Mexico. He was dispatched to Roswell to write about the flying saucer crash and I interviewed him in January, 1993 in his home in Santa Fe. The interview was videotaped. Ten months later he was interviewed by researcher Karl Pflock and we see that his story changed rad ically from that first interview. Pflock developed an affidavit from what Kellahin said to him and that affidavit was published in Karl’s book about Roswell. There are two items of evidence that are important to us here. One is my video tape and the other is the Kellahin affidavit. By comparing these two items, we can learn something about the Roswell case, something about half-century old memories, and how we can be pulled from away from the truth. 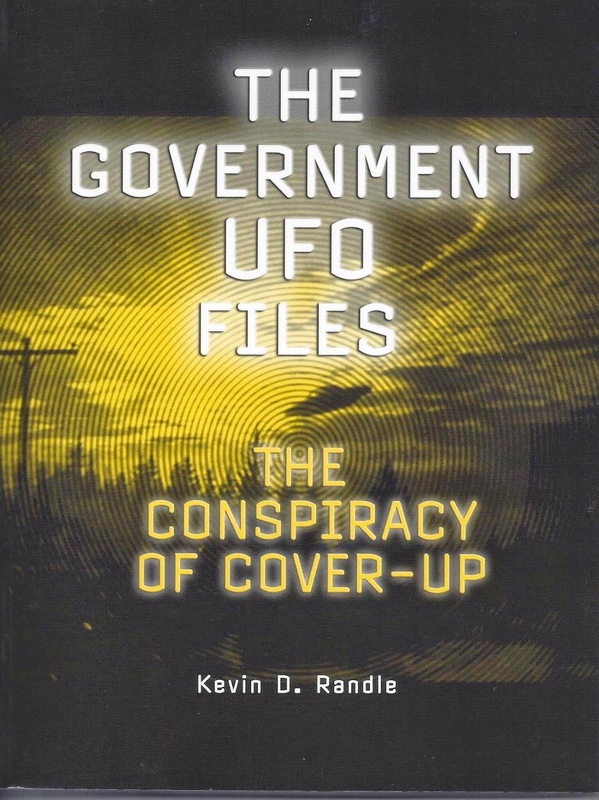 Of course, by adding other items of evidence, including the stories written by Kellahin in July 1947, using the time line published in newspapers about the Roswell events, and other, limited documentation, we can figure out who should be believed and who should not. In this case, the answer is surprising. Once I arrived at Kellahin’s home, I was invited in and we walked through to his rather plush office in the back. I had the chance to observe some of his books and magazines before I set up the video camera, made sure that it was focused, and then sat down. With the camera running, and after introducing himself to the camera, he told me that he received a call from the New York office of the Associated Press telling him that he needed to get down to Roswell as quickly as possible. "We [Kellahin and Robin Adair, a photographer and according to Adair, reporter] were informed of the discovery down there... the bureau chief sent me and a teletype operator from the Albuquerque office." Kellahin, said, "It must have been in the morning because we went down there in the daytime. It would take a couple of hours to get down there..."
Kellahin continued, saying, "We went down to Vaughn. Just south of Vaughn is where they found the material." The ranch, according to him, wasn't very far from the main highway (Highway 285) from Vaughn to Roswell. They turned from that highway just south of Vaughn, onto the Corona road. They were driving to the west and saw "a lot of cars and went over. We assumed that [this] was the place. There were officers from the air base. There were there before we got there." Kellahin described for me the military cars, civilian cars and even police vehicles parked along the side of the road. In one of the fields adjacent to the road, at the far end of it, were a number of military officers, no more than five or six of them. Kellahin left his vehicle and entered the field where he sa w the scattered debris. Ten months later, in an affidavit prepared for the Fund for UFO Research, Kellahin would say, "Our first stop was the Foster ranch, where the discovery had been made. At the ranch house, we found William ‘Mac’ [sic] Brazel, his wife and his small son. It was Brazel who made the find in a pasture some distance from the house." He also told Karl Pflock, "Brazel took Adair and me to the pasture where he made his discovery. When we arrived, there were three or four uniformed Army officers searching some higher ground about a quarter mile to a half mile away. Apparently, they had been there for some time." Kellahin told me, "This man from Albuquerque with me [Adair], he had a camera. He took some pictures of the stuff lying on the ground and of the rancher who was there... Brazel was there and he [the photographer] took his picture." Kellahin asked Brazel a few questions, interviewing him there, in the field. "I talked to him. He told me his name [Brazel] and we had been told it was on his ranch." Kellahin didn't remember much about what Brazel had said. "About the only thing he said he walked out there and found this stuff and he told a neighbor about it and the neighbor said you ought to tell the sheriff... it was the next day [Brazel] went down to Roswell." Standing there in the field, near the debris, Kellahin had the chance to examine it closely. "It wasn't much of anything. Just some silver colored fabric and very light wood... a light wood like you'd make a kite with... I didn't pick it up. In fact, they [the military] asked us not to pick up anything... You couldn't pick it up and have identified it. You have to have known [what it was]. But it was a balloon. It looked more like a kite than anything else." Which, of course, is not the description of a balloon but certainly is a good description of one of the rawin radar targets. That Kellahin suggested it was bits of a balloon here makes little difference. It is quite clear what he is trying to say. The debris covered a small area, not more than half an acre (Army officers and one of the Japanese Balloon Bombs seen here). The military men were standing close by as Kellahin interviewed Brazel but didn't try to interfere. "They weren't paying much attention. They didn't interfere with me. I went wherever I wanted to go. They didn't keep me off the place at all. Me or the photographer." In his affidavit, he described the scene by saying, "There was quite a lot of debris on the site - pieces of silver colored fabric, perhaps aluminized clothe. Some of the pieces had sticks attached to them. I thought they might be the remains of a high-altitude balloon package, but I did not see anything, pieces of rubber or the like, that looked like it could have been part of the balloon itself. The way the material was distributed, it looked as though whatever it was from came apart as it moved through the air." Kellahin, in the video tapped story he gave me, said he tried to talk to the military people, but they didn't give him any information. "They were being very, very cautious because they didn't know." He didn't have much time for the interview because the military officers came over and told him they were finished and were going to take Brazel into Roswell. With Brazel gone and the clean up of the debris finished, there wasn't much reason for the AP reporters to remain. Kellahin and Adair continued their trip to Roswell, arriving before dark. He elaborated on this, saying in the affidavit, "After looking at the material, I walked over to the military men. They said they were from RAAF and were just looking around to see what they could find. They said they were going back to Roswell and would talk with me further there. They had a very casual attitude and did not seem at all disturbed that the press was there. They made no attempt to run us off." Kellahin told me, "We went down to the Roswell Daily Record and I wrote a story and we sent it out on the AP wire... Adair developed his pictures and set up the wire photo equipment and sent it out." To Pflock and for his affidavit, Kellahin said, "Adair and I, Brazel, and the Army men then drove down to Roswell, traveling separately. Late that afternoon or early evening, we met at the offices of the Roswell Daily Record, the city’s afternoon newspaper. The military men waited on the sidewalk out front, while I and a Record reporter named Skeritt interviewed Brazel and Adair took his picture. (Adair also took photos of Brazel and the debris at the ranch, but these were never used.) Walter E. Whitmore, owner of KGFL, one of Roswell’s two radio stations, was also present during the interview. Whitmore did his best to maneuver Brazel away from the rest of the press." The story ended saying, "Adair and Kellahin were ordered to Roswell for the special assignment by the headquarters bureau of AP in New York." Kellahin, in a break with what he said in his affidavit when he left the ranch, had expected to see Brazel in Roswell, the next day, but, "I don't recall that I did. I think the military was talking to him and wouldn't let him talk to anyone else to my recollection... I saw him there but... there were some military people with him." Following the story as far as he could, Kellahin told me he talked to Sheriff Wilcox. "When we got down there to the newspaper, he was there. I saw him there or at his office... By that time the military had gotten into it. He was being very cautious." And in his affidavit said, "After interviewing Brazel, I spoke with the military people outside and then went over to see Sheriff George Wilcox, whom I knew well. Wilcox said the military indicated to h im it would be best if he did not say anything. I then phoned in my story to the AP office in Albuquerque. The next morning, Adair transmitted his photos on the portable wirephoto equipment (as seen here)." "It was a weather balloon," said Kellahin. "In my opinion that's what it was. That's what we saw. We didn't see anything else to indicate it was anything else." Once they finished in the office, Kellahin returned to Albuquerque and Adair was ordered to return to El Paso to finish his job there. By the time Kellahin returned to Albuquerque, there was a new story for him that had nothing to do with flying saucers. Another assignment that was just as important as his last. There are some points that must be made. The raw testimony and the later affidavit from Kellahin must be put into context with that provided by others, including Robin Adair, who was also dispatched to Roswell. Both Kellahin and Adair were trying to answer the questions as honestly as they could, attempting to recall the situation as it was in July 1947. However, they are at odds with one another. There clearly is no way for Adair to be both in El Paso as he claimed during Don Schmitt’s interview with him and in Albuquerque as Kellahin suggested to me. Given the circumstances, there are some things that can be established. A number of newspaper articles about the events, written in 1947, have been reviewed. Although many of them had no by-line, they did carry an AP slug and did identify the location as Roswell. Since Kellahin was the only AP reporter there, assigned by the bureau chief in Albuquerque at the request of the AP headquarters in New York, it is clear that he wrote the articles. The first problem encountered is Kellahin's memory of getting the call early in the morning. That simply doesn't track with the evidence. Walter Haut's press release was not issued until about noon on July 8.That means there would be no reason for the AP to assign a reporter on the morning of July 8. There was no story until that afternoon. And, by the morning of July 9, the story was dead. No reason to send anyone to Roswell because photos had already been taken of the debris in Fort Worth and the information already released. 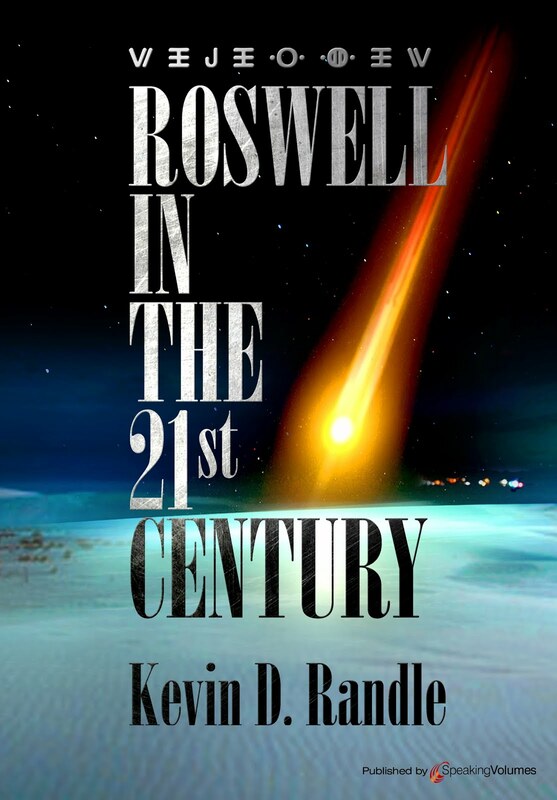 Besides, the story in the July 9 issue of The Roswell Daily Record makes it clear that they, Kellahin and Adair, had already arrived in Roswell, coming down on July 8. Second is the story that Kellahin saw the weather balloon on the Brazel ranch. His description of the location, south of Vaughn but just off the main highway to Roswell is inaccurate. The debris field, as identified by Bill Brazel and Bud Payne, is not close to the Vaughn - Roswell highway. In fact, the field where the debris was discovered is not visible from the road around it. It is a cross country drive. Then in his affidavit, he suggests that he went to the Brazel ranch house where he interviewed Brazel. But with Brazel’s wife standing right there, he asks her no questions and offers no quotes from her in his story. That seems strange. He has what would be exclusive information from another witness, but provides no quotes from her. More importantly, by the time Kellahin could have gotten to that field, the balloon should have been removed. In fact, according to Marcel and the newspaper articles, the balloon was already in Fort Worth if we believe what has been reported. After all, a balloon wouldn't have taken long to collect and Marcel had done that the day before. Kellahin's testimony of seeing a balloon out in the field is intriguing, not because he is an eyewitness to the balloon on the crash site, but because of what it suggests. If there was a balloon, it would mean that the Army had to bring one in. In other words, they were salting the area, and that, in and of itself, would be important. It would suggest that the Army had something to hide, if they were planting evidence. That is, if we find Kellahin’s testimony about seeing the balloon in the field to be credible. In his affidavit, we get the same basic story, but this time Brazel takes Kellahin and Adair out to the field. Adair, the photographer, takes pictures, but none of them are ever used. This makes no sense when it is remembered that all seven pictures of the balloon debris displayed in Ramey’s office were printed somewhere. The pictures of the balloon in the field, with Brazel, and with Army officers around it, would be more important than the pictures in Ramey’s office, or the one of Mack Brazel wearing his cowboy hat and smoking a cigar. The best available is that Kellahin did not stop at the ranch on his way down. He is mistaken about that. The lack of the photographs, and evidence about the location of Brazel on the afternoon of July 8 suggest it. The location that Kellahin gives is in error. The ranch was not close to Vaughn, and the debris field is not close to any road. By the time Kellahin and Adair arrived in Roswell and were ready to begin reporting, some of the pressure was off. Ramey, in Fort Worth, explained that the material found in Roswell was nothing extraordinary. No longer was New York demanding pictures. In fact, several pictures had already been taken in Fort Worth. The interview with Brazel occurred on the evening of July 8, according to the newspaper article in the July 9 edition of The Roswell Daily Record. Brazel was brought into Roswell by the owner of KGFL, Walt Whitmore, Sr. and taken out to the air base, not accompanied to Roswell by the Army as Kellahin suggested much later. Brazel was then escorted to the newspaper office to be interviewed by Kellahin, as well as a reporter for the Daily Record. The pictures transmitted, those of Brazel and George Wilcox, are ones that had been taken in the office for that purpose. Kellahin wrote his story, which appeared in the newspapers the next day. With the story dead, Kellahin was ordered to return to what he had been doing. He left Roswell. Kellahin believed that nothing extraordinary had been found and there was no reason for the events to stick in his mind. There are a couple of other comments to be made here. First, I’m surprised that the skeptics haven’t made more of Kellahin’s testimony. It fits into their balloon theory and adds the weight of a first-hand witness. Second, Phil Klass takes me to task for not questioning the testimony of Robin Adair with the same vigor that I addressed the Kellahin’s testimony. He is, of course, right about that. Some of his assumptions are wrong. He asks why Adair, if he was in El Paso would have been authorized to charter a plane while Kellahin had to drive. The distances are roughly equivalent. The answer could be that the drive from El Paso covers some wild territory including mountains while the drive from Albuquerque does not. Anyway, Klass is correct and I should have been tougher on the testimony offered by Adair. Clearly both men can’t be right about the circumstances, and I now suspect that neither are. Finally, Tim Printy makes the case that these nearly fifty-year-old memories (when the witnesses were interviewed) are probably unreliable. As I mentioned, once Kellahin and Adair arrived in Roswell, Ramey had already introduced the balloon explanation. The story went from one that might have been the greatest story of the last thousand years to the misidentification of a weather balloon. The story probably didn’t stick in the minds of either man until we all began asking questions about it a half century later. So, what do we do with this? Take the testimonies, compare then with the records available and decide from there where to go. I believe, based on my observations of Kellahin, on what I saw as I walked through his house, and on the affidavit he produced, that his testimony is largely confabulation. These are the things that he thought he would have done, these are the descriptions of the debris that he remembers, though it sounds as if it was lifted from the newspaper of 1947 (which he told me he had read just prior to the interview), and these are the actions he would have taken. Unfortunately, there are just too many problems with his story. And here I need to say that I didn’t interview Robin Adair. I worked from the notes and transcripts of the interview conducted by Don Schmitt. All this means is that I didn’t have the opportunity to study Adair the way I did Kellahin. I don’t know what sources he might have used to refresh his memory or why his testimony is so much different than that of Kellahin. But Klass was right. I should have been more skeptical about Adair. There are questions that should have been asked that were not. In the end, we’re left with two conflicting statements, one that bolsters the balloon and one that suggests the alien ship but neither of which is reliable. To learn the truth, we need to go somewhere else. I know that I said I was done with responding to Kal Korff, and I know that when I watch Countdown with Keith Olbermann, I get tired of his rants about Bill O’Reilly and Rush Limbaugh, but sometimes it’s just so much fun. Take the latest rant. He quotes from one of my books and goes into a typical rant. Marcel said about the debris, "I’d never seen anything like that. I didn’t know what we were picking up." He said that some of the debris was thin as newsprint, feather light but so strong they couldn’t dent it or burn it. He described foil-like material, I-beams, and "...other stuff there that looked very much like parchment that didn’t burn.'" Marcel was so impressed by what he had seen that he stopped at his house on the way back to the base. He wanted his wife and son to see the debris. When Jesse Marcel, Jr. saw the strange material, he asked his father what it was. Marcel, Sr. "It’s a flying saucer." Marcel, Jr. Said that he saw some foil material that was thicker than lead foil and that was much stronger. He mentioned the I-beams which seemed to be made out of layered foil and that was embossed with writing. Marcel Jr. described the writing as, "Purple. Strange. Never saw anything like it. He then says, "Well, no folks, he didn’t say it was a flying saucer. They didn’t use that word back then. They said flying disk. That’s it." Here is the front page of the Roswell Daily Record for July 8, 1947. Clearly it says, "RAAF Captures Flying Saucer On Ranch in Roswell Region." The next day, the headline reads, "Gen. Ramey Empties Roswell Saucer." In case you think that it was only in Roswell that they used that term, though it certainly proves my case because it shows the term in use in Roswell, here, from the Des Moines Register of July 4, 1947, "Army Probes ‘Flying Saucer’ Stories." And from the Herald American (Syracuse, New York) "Flying Saucers Reported By Scores in 28 States." So where did he get the idea that they didn’t use the term flying saucer in July 1947? I found lots more examples, so clearly they did. The other part of the quote that sets him off is the term I-beam. He says that Marcel didn’t use that term and in fact, Marcel said that his son got it wrong. Well, looking at the interview that Linda Corley did with Jesse Marcel, Sr. in 1981 (and not available until after 1993), it appears that Marcel did say that during her interview. At least it seems that way. Marcel drew a picture of the cross section of one of the smaller members and it is rectangular. If you look at the "I-beam" that Marcel, Jr. had made, you see that it is nearly rectangular as well. Yes, there is a "I" shape to it, but the top and bottom cross beams are small. And something that Korff fails to report is that Corley said when she shared her tapes with Stan Friedman, she had to go back to create transcripts because the tapes, sitting on a shelf, had degraded quite a bit. They were difficult to understand and Corley had to interpret the words and phrases, so it’s possible that the senior Marcel wasn’t quite as positive as Korff and others now believe. Korff goes on to say, "Jesse Marcel, Jr., he claims he saw an I-beam and he’s the only one who did... And his father Jesse Marcel, Sr. says, ‘No.’"
According to Korff, "Jesse [Jr.] got that wrong. He was a little boy. He was only 11 years old... No other Roswell witness reported I-beams at all. None. Zero." Much later, Steve Lytle, in an interview conducted with Don Schmitt and Tom Carey, used the term I-beams. And another witness Jack Trowbridge said, "It was aluminum in appearance. There were fragments of aircraft skin, or whatever the thing was and also some girders with pictures of hieroglyphics..."
So, Korff goes off on a tangent here, claims that no one else ever mentioned the I-beams and yet, without much effort, I was able to locate two additional witnesses. Trowbridge doesn’t say "I-beam," but does say girders, which can be construed as an I-beam-like structure and that runs the score to three. Finally, in this latest mishmash, Korff said, "The U.S. government did launch one [Mogul balloon] to spy on the Soviets..."
This isn’t quite right either. Yes, the purpose of Mogul was to spy on the Soviets, but they could never keep the balloons aloft long enough for them to drift over the Soviet Union, and the coming of the spy planes, and much later, satellites, did in the need for Mogul. It just never worked the way it was supposed to. The real reason that I’m forced to post this here is that Korff, in his YouTube rants, disables the comments section. No one has the opportunity to suggest that maybe he’s off base on his claims. Had I been able to comment on YouTube, I would have done this there. Once again I apologize for dragging you all along with me on this, but then, sometimes it is fun to see how badly he muffs the ball. This will be the last time for a response to Korff here. There is a marvelous little blog at http://www.kalisanidiot.blogspot.com/ and I’ll try to get the host there to post any more responses I feel are needed. Maybe I should just let it go because no matter what Korff says, when all the facts are presented, the story is different than he says, sometimes wildly so. Let’s talk a moment about this ridiculous notion that the officers and soldiers at the Roswell Army Air Field couldn’t recognize a balloon, or balloon array when they saw it. Let’s also talk about this notion that Project Mogul was top secret so that those soldiers wouldn’t know about it and ther efore couldn’t identify it. This is something that we all have talked about before, but it seems that the skeptics and debunkers are having some trouble with the concept. First, there are the balloon arrays themselves (seen here). They were made up of multiple balloons and rawin radar targets. The balloons were neoprene, flimsy, easily ripped and discolored in the sun. They were standard weather balloons, just like those launched four times a day by the weather department at Roswell. They were something that was easily recognizable because they were so common. Not quite so common were the rawin radar targets, but they were nothing new and nothing extraordinary. They were made of easily snapped balsa, cloth-backed aluminum foil, and string. All materials with which the soldiers would have been familiar. In fact, many standard meteorological packages were made of one balloon and one rawin radar target. Mogul was made of multiple balloons and multiple targets but that shouldn’t have been so extraordinary that no one could recognize it for what it was. The remnants of the balloons, targets, and arrays were considered unimportant. While they did attempt to recover them, they sometimes failed, and left them in the fields to rot. Not really how you would treat highly classified material. But those balloon arrays were the ones lost in rugged terrain or that drifted far outside of New Mexico. That the arrays were not recovered was not considered a security breach by anyone. No one cared that the balloon arrays had disappeared. In fact, all this was so unimportant, that pictures of the balloons and some of the activities around them were photographed and printed in newspapers across the country (as shown by thise photograph from the El Paso newspaper, July 10, 1947). This is a funny way to treat a highly classified project. Second, let’s talk about this secrecy. The point that the skeptics and debunkers refuse to understand is that the balloon launches in New Mexico, the equipment used and science being conducted there was not classified. Get it. There was nothing classified about what was going on in New Mexico. Charles Moore, one of the project scientists (seen here), told me that they had traveled to Roswell to ask for assistance in tracking their balloons. They had meant with the officers at the base, expla ined what they were doing, and asked for assistance. Colonel William Blanchard, the commanding officer, refused. Or one of his subordinate officers refused. At any rate, the base was going to offer no help chasing balloons. The balloon launches were announced in advance in NOTAMS, that is, Notices to Airmen, because the long arrays and clusters of balloons could be a hazard to aerial navigation. So, the officers and soldiers at Roswell had a second way of learning about these balloon flights. All they had to do was read the NOTAMs. These NOTAMs would have described the nature of the hazard, or in the world of secrecy, compromised the project one more way. So, what was classified? The ultimate purpose of the project. The stated purpose, the one that everyone knew was to create a constant level balloon. One that could sustain a certain altitude. Prior to this, balloons were at the whim of the atmosphere, rising and falling as the sun heated them, or the night air cooled them. The Japanese, in their Balloon Bomb campaign, took this into account, rigging a system of ballast with a barometer that would release the sandbags as the balloons dropped below a certain altitude. That purpose of the project, was not classified. The ultimate purpose, to launch these constant level balloons and send them over the Soviet Union to spy on their atomic programs was classified. The men working in New Mexico probably didn’t know that. All they knew was that they were trying to keep the balloons at a certain altitude for a certain length of time. What this means is that Mack Brazel should have recognized the balloons for what they were when he found them. He did tell the reporters in Roswell that he had found weather balloons on other occasions and this was nothing like that... except, if it had been Mogul, it would have been exactly like that. Weather balloons and radar targets. This means that Major Jesse Marcel, Sr., should have been able to recognize the debris as a weather balloon, rather than believing it something truly extraordinary. If we are to believe the tale told by S heridan Cavitt, he did recognize the debris as a balloon, but didn’t bother to say anything to Marcel who was on the field with him, to Blanchard who was the base commander, or to anyone else. Cavitt kept the important secret that these were weather balloons, even after Brigadier General Roger Ramey in Fort Worth had identified them as such. So, this idea that Project Mogul was highly classified and therefore would be unrecognizable to the soldiers at Roswell is refuted (Tracking of Mogul flight by officers at Alamogordo, New Mexico). While the purpose was highly classified, the experiments and equipment were not. And, since the project was reported in the newspapers of July 10, 1947, this idea that the government was hiding the project is also refuted. There is no reason for the extraordinary steps taken to cover up the incident in Roswell... unless it was something else and Mogul wasn’t nearly as important as that new information. This doesn’t take us to the extraterrestrial, but it moves us away from Mogul. It would be nice if the skeptics and debunkers could understand this so we didn’t have to keep repeating it. Sometimes, as I’m doing research on another aspect of the Roswell case, I stumble onto something that I had forgotten and that now has become important. Remember that Kal Korff, in one of his video rants claimed that I had not looked at the Albuquerque newspapers or I would have known that a picture of Mack Brazel had never appeared on the front page. Overlooking the fact that I made no such claim, and did prove that stories about Brazel did appear on the front page of the Albuquerque Journal, I found something else that is just as important. To refresh everyone’s memory, here’s the important part of Korff’s rant. "If you check every issue that's ever been published of the Albuquerque Journal or any newspaper in that area of the time of 1947 [emphasis added], you'll find that Mack Brazel's picture didn't appear anywhere in any newspaper at all. It just never happened. And nobody has ever produced a newspaper today that can show that he ever appeared on the front page." Here is a picture of Mack Brazel from the front page of the Roswell Daily Record on July 10, 1947. The Roswell Daily Record is clearly a newspaper in that area and clearly July 10, 1947 is the right time frame. Korff once said that if I proved him wrong on any point, he would make the proper correction. I had planned to append this at the end of the Medal of Honor article but was afraid that people would think I was attempting to equate the Combat Action Badge with the Medal of Honor. That isn’t the case. The Medal of Honor was created about 150 years ago and in that time only about 3000 have been awarded. All the recipients in Iraq or Afghanistan were killed while performing the acts for which they received the Medal of Honor. On the other hand, since its creation about four years ago, tens of thousand Combat Action Badges (seen here) have been awarded. To qualify, a soldier must be in an area that qualifies for hostile fire pay or i mminent danger pay and must be engaged by the enemy or have engaged the enemy. All the soldier is required to do is to perform in a manner expected of all American soldiers. 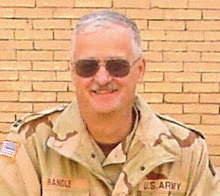 I mention this only because on July 2, I learned that I had been awarded the Combat Action Badge for an incident in Iraq. As our convoy rotated out of theater, my vehicle was taken under fire. SPC Daws, the gunner, and I returned fire, driving the terrorists from the field. I suspect that fewer than 150 rounds were exchanged and no one was wounded. About an hour later we reached the Kuwaiti border and our time in the Middle East was reduced to less than two weeks. And I mention all this only because I have seen, in the last several days, articles suggesting that I have inflated my resume, that I was too fat to be a soldier, and a few questioning how I could have been a helicopter pilot in Vietnam, an intelligence officer in the Air Force, and suddenly a National Guardsman called to active duty in the Army in Iraq. I’ll just say that the National Guard is made up of lots of soldiers who have experience in other branches of the service. In our battalion, one of the first sergeants was a Marine Vietnam Veteran, the NCOIC of our MKT was a former Navy man, and I, of course was former Air Force. This eclectic make up of the National Guard is not at all unusual. In another article some guy thought the claim I had written more than 100 books was a stretch. This guy, using his internal logic, thought writing two books a year was a difficult task and he could only find some 24 books that I had written when he searched the Library of Congress. Of course, he didn’t look at Amazon.com or he would have found about 50 titles before he ran into a duplication. Just a brief look would have found the four Scorpion Squad books I wrote as Eric Helm, twenty-one Vietnam Ground Zero books I wrote as Eric Helm (plus an additional four "Super" books), the fourteen Navy Seals books I wrote as Steve MacKenzie, the six Wings of Nam books as Cat Brannigan (hey, don’t blame me, I didn’t pick the name), the twenty-one science fiction novels, the book about lost gold and buried treasures, the two Bantam Books about the coming world war, the eighteen books about UFOs and the paranormal, and a handful of others on a variety of subjects... and not including the five that my agent has right now (nor the dozen that have never been published). I once joked I was in the book a month club, having to write a book a month but one year I wrote nineteen. I wrote one book in six days... sure it was a short book and there wasn’t a lot of rewriting going on, but I handed it in on time. So, I decided to mention these things to set part of the record straight. I’m not sure what causes these people to attack without bothering to gather all the facts. Simple Internet searches would have provided some of the information... I mean, for those who know where to look, they could have found a picture of my flight school class, a website that has a picture of me in Vietnam and a much later picture of me in Iraq, they could find listings of my bibliography, not always up to date but showing more than 24 books published, and other information proving that I’m not making these things up. What often strikes me as funny is that those of us who have not embellished their credentials are held to different standards than those who do. I’m challenged to prove it, and do so, and those others say, "Well, my records have been changed to make me look bad." They aren’t challenged with the same vigor that I am... but I have the proof and they don’t. So, once again, I mention that I was just awarded the Combat Action Badge as just another proof that I really did serve in Iraq. Don Ecker passed this along and I thought it appropriate, given that it is the 4th of July. Little scenes like this are difficult to create because they are normally spontaneous. This is a case of sailors acknowledging the heroism of one of their own and I wanted others to see this. PO2 (EOD2) Mike Monsoor, a Navy EOD Technician, was awarded the Congressional Medal of Honor posthumously for jumping on a grenade in Iraq, giving his life to save his fellow SEALs. During Mik e Monsoor's funeral in San Diego , as his coffin was being moved from the hearse to the grave site at Ft. Rosecrans National Cemetery , SEALs were lined up on both sides of the pallbearers route forming a column of twos, with the coffin moving up the center. As Mike's coffin passed, each SEAL, having removed his gold Trident from his uniform, slapped it down embedding the Trident in the wooden coffin. The slaps were audible from across the cemetery; by the time the coffin arrived grave side, it looked as though it had a gold inlay from all the Tridents pinned to it. This was a fitting send-off for a warrior hero. This should be front-page news instead of the crap we see every day.